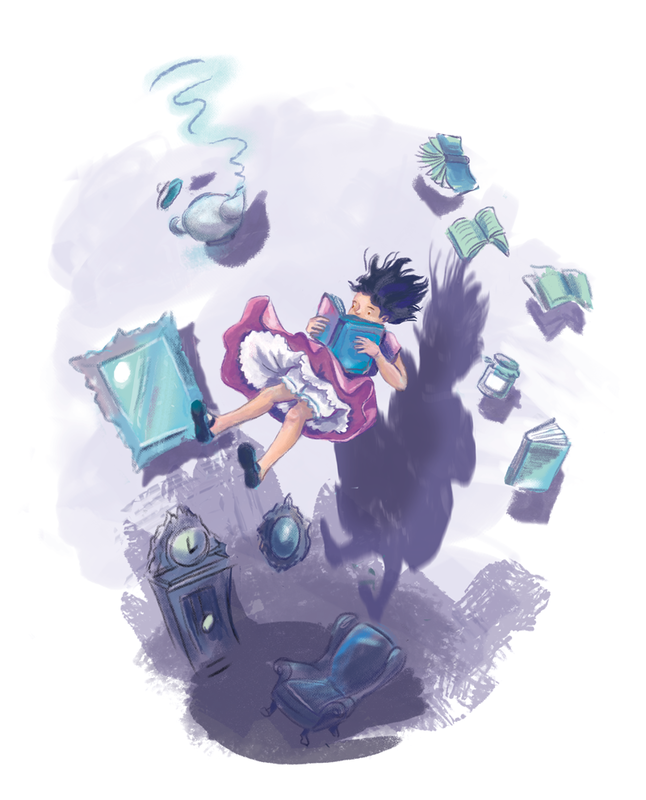 Illustrating Alice in Wonderland has always been on my art bucket list, so I thought why not give myself my dream assignment? 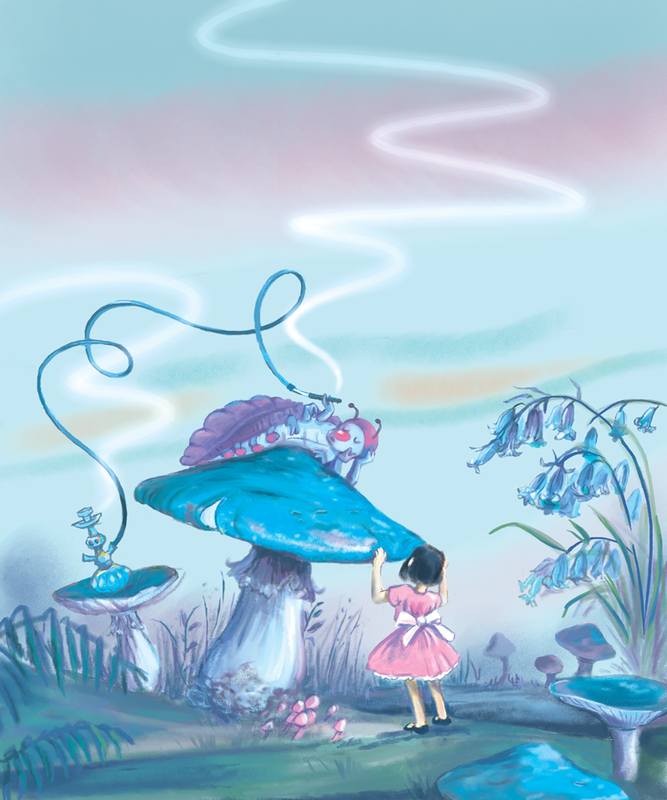 A Mad Tea Party – I can really commiserate with Alice in this scene. 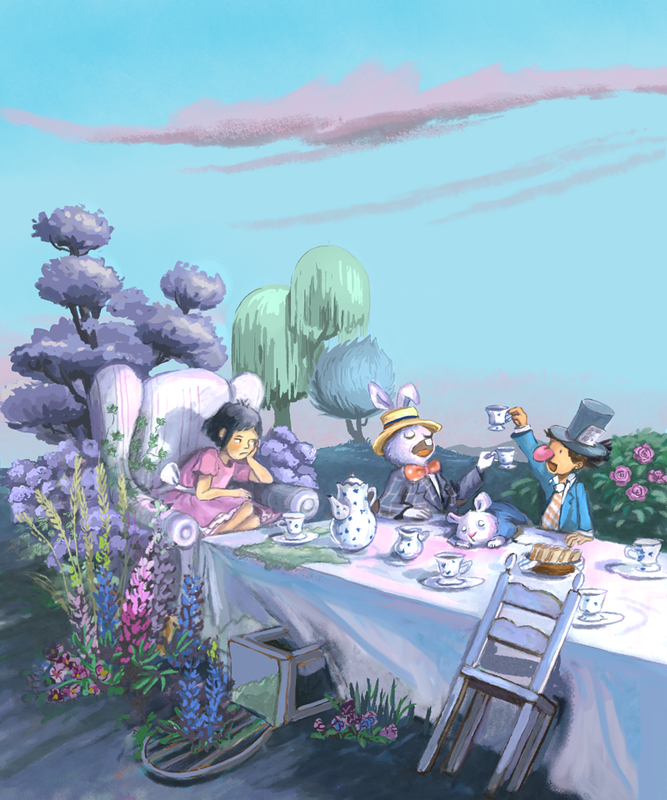 Life is a mad tea party, amirite? 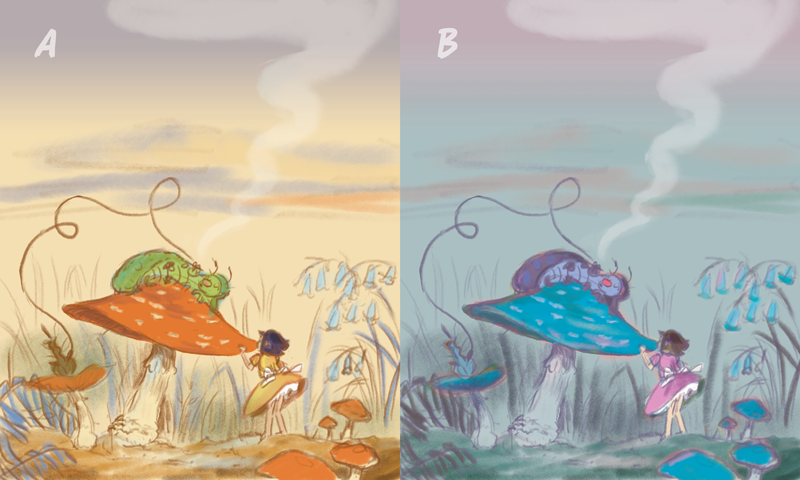 Early sketch for Advice from a Caterpillar and color tests.